This week Skepta was at the British Fashion Awards, Kylie Jenner revealed some racy pictures and Kevin Hart previewed the new Jumanji movie. 1. 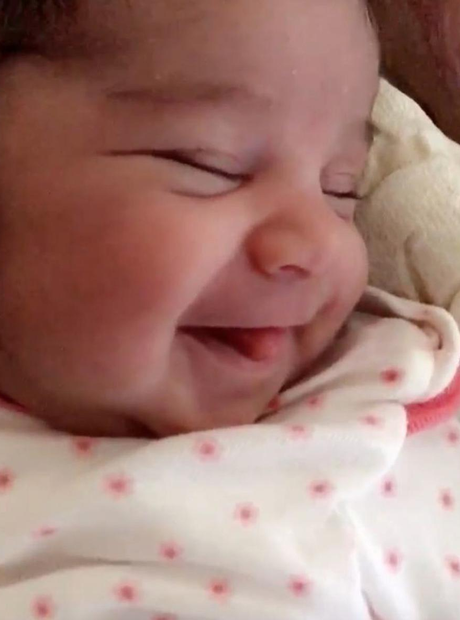 Dream Kardashian was caught smiling on camera by doting father Rob Kardashian. 2. Skepta bought a fake Gucci cap from a market in Morocco. 3. He also purchased a bright red kaftan. 4. The Mercury Prize also teased this image on his Instagram. 6. Nicki Minaj celebrated her birthday on holiday in Turks and Caicos. 7. Iggy Azalea dropped by her surgeon for some laser treatment. 9. The rapper posed alongside Marilyn Manson during the event. 11. Jhene Aiko unveiled her 'Rather Go Naked Than Wear Fur' campaign for PETA. 12. Bebe Rexha looked stunning at the 2016 Fashion Awards in London. 13. Earlier this week, he closed his landmark Alexandra Palace show in London on top of a flaming car. 14. Fans were able to get a special 'Skepta Bus' to the London venue. 15. DJ Khaled revealed on Instagram that he's working on his 10th album. 16. Black Chyna showed off her incredible weight loss. 18. Kylie Jenner shared a set of racy pictures from her recent trip to LA. 19. The reality star is gearing up for the launch of her new 'Kylie' pop-up shop. 21. Rihanna finally returned home from her holiday in Barbados. 22. Kevin Hart teased his role in the upcoming remake of Jumanji. 23. Nicki Minaj sparked a series of hilarious memes with her latest Instagram picture. 24. Big Sean showed off his new set of diamond-encrusted grills. 25. Drake got involved in some Polo during his recent trip to Dubai. 26. 50 Cent appeared to hire an Uber Sea Plane to celebrate his alcohol brand Effen Vodka.